Home | Newsletter 131: Justice for Workers Has No Boundaries! Newsletter 131: Justice for Workers Has No Boundaries! We are in the final days of our crowd funding campaign. If you’ve considered supporting us, but haven’t done it yet, here’s your chance, and here are a few good reasons! This is your chance to get exclusive artwork for artist and activist Favianna Rodriguez in the form of a poster, t-shirt, or postcard. 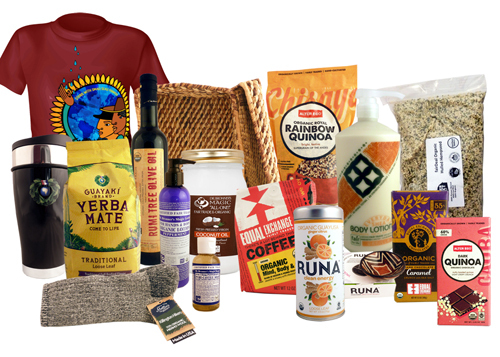 At higher levels of support you also get a sampling of fair trade products from the very best and most committed fair trade brands out there. You’ll be part of a campaign that recognizes small-scale farmers as the key to cooling the planet and feeding the world. You’ll be part of a movement to shift the narrative around climate change from one of gloom and doom to one of hope and action. We need your help to finish and distribute our video featuring national experts like Vandana Shiva and any amount will help. Support our campaign now before it’s too late! Lately we’ve been getting more and more questions about whether we support undocumented workers in labor disputes. The short answer is we will stand up to fight against human rights abuses no matter where they occur. These are two separate issues and there is no justification for abuse of human rights and dignity. But there is a more complicated story too, which is that there are many reasons why people cross borders to look for work even if the law is not on their side. Many of these reasons have to do with policies regulating trade, agriculture, or immigration that are harmful to most workers and families. David Bacon explains these connections well in a recent article in our own publication For a Better World. He also explains these ideas in this video interview he gave after he wrote his previous book Illegal People. That is why alongside advocating for justice directly for workers and farmers we advocate for better policies under which all people may thrive. 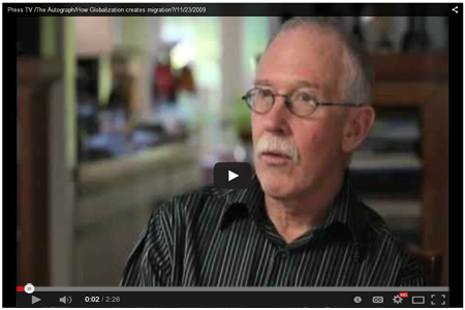 Read David Bacon’s article in For a Better World publication. 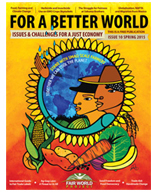 We’re thrilled to announce the 10th edition of For a Better World is now available. If you’ve never read it, this issue will be a good introduction, with articles covering the role of trade policy in immigration, the fight for farmworker rights in Washington, and the role of small-scale farmers in the global climate crisis. Keep an eye out for it in your local fair trade store, co-op or natural food grocer, or larger grocery stores like Whole Foods Market. Catch a glimpse of what’s in store in this issue! From the blog: Pressure on companies works so let’s step it up! 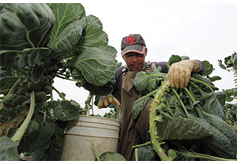 Battle to fit the world pits small farmers against big agriculture.